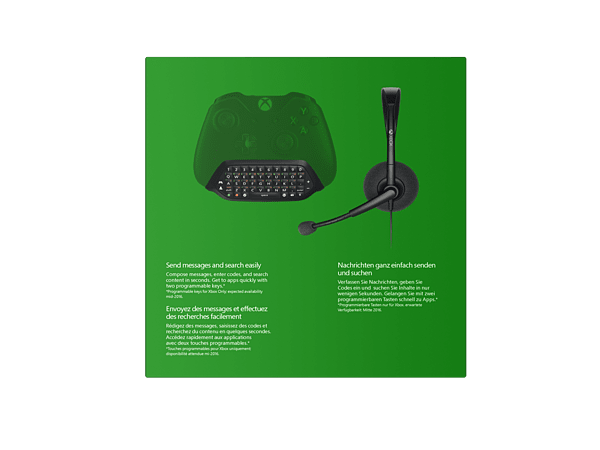 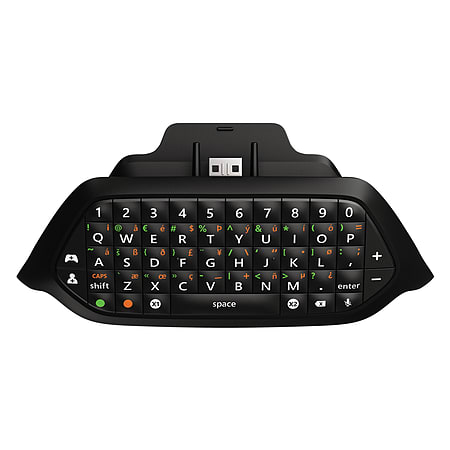 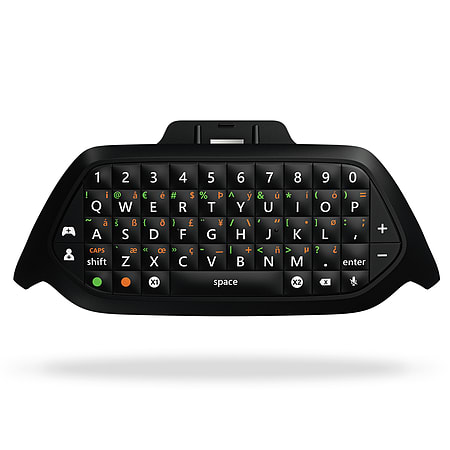 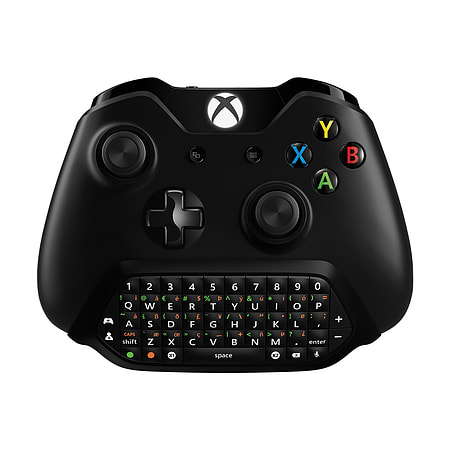 Compose messages to friends, enter codes, and search apps in seconds with the Xbox Chatpad. 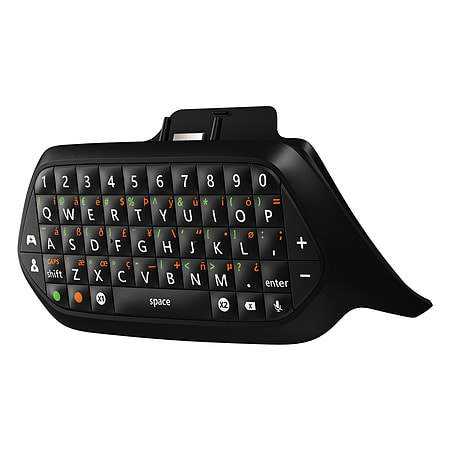 Get to your apps quickly with two programmable keys. 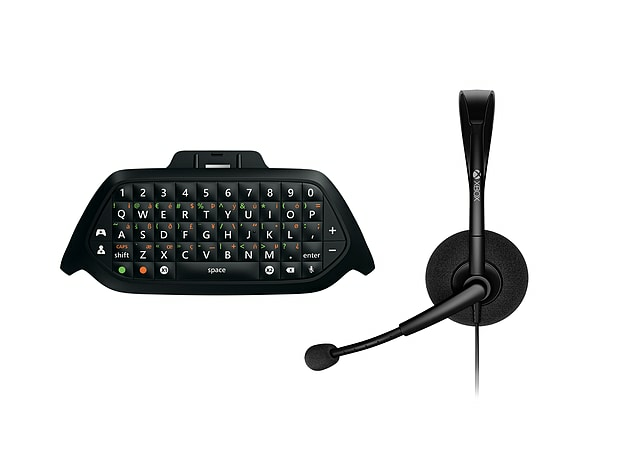 Includes a Chat Headset with 3.5mm jack.